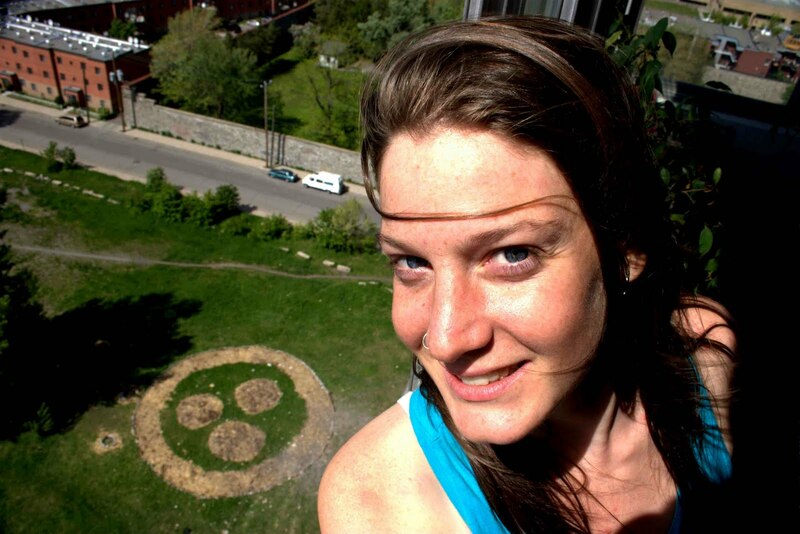 "Emily Rose Michaud is an interdisciplinary artist working at the intersections of community development, civic participation, performance, and land art. In recent years, her experimental and socially driven practice has resulted in a series of performances incorporating living ‘sproutfits’ and tapestries, a guerilla gardener’s ensemble, an electronic book designed to be reproduced and remixed by others (roerichproject.artefati.ca) and the Roerich Garden Project – a three-year land art project in a post-industrial railyard turned urban meadow. - Invite others to plant similar ideas in their own environments where needed"